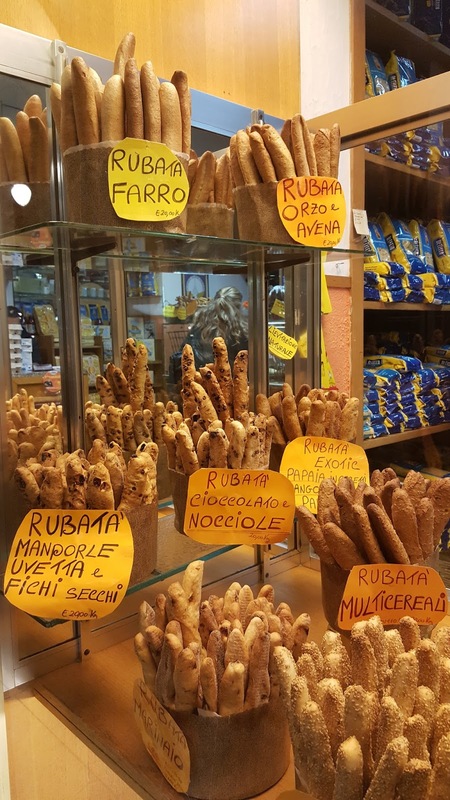 Most people outside of Italy are familiar with American breadsticks; most tourists in Italy and die hard Italians outside of the boot enjoy their lunch meats rolled up on a grissino or ... Italian breadstick. 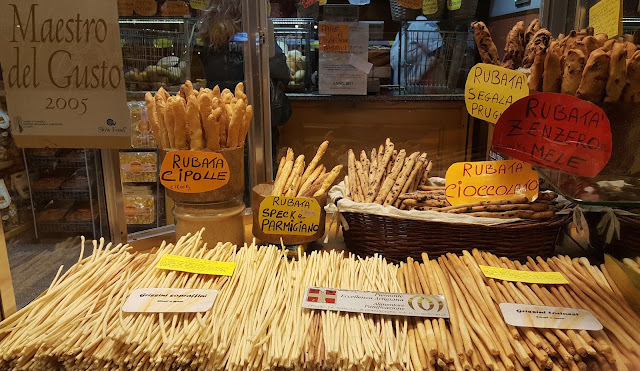 However, very few people are aware that grissini (plural) were born in Turin and can come in many different shapes and flavors. As it is something traditional, we recommend you all to sample taste as many as you can whenever you are in Turin and Piedmont. ... in the warm days you can have a picnic in one of our many parks and piazzas. The word grissino comes from the Piedmont dialect and it means long. 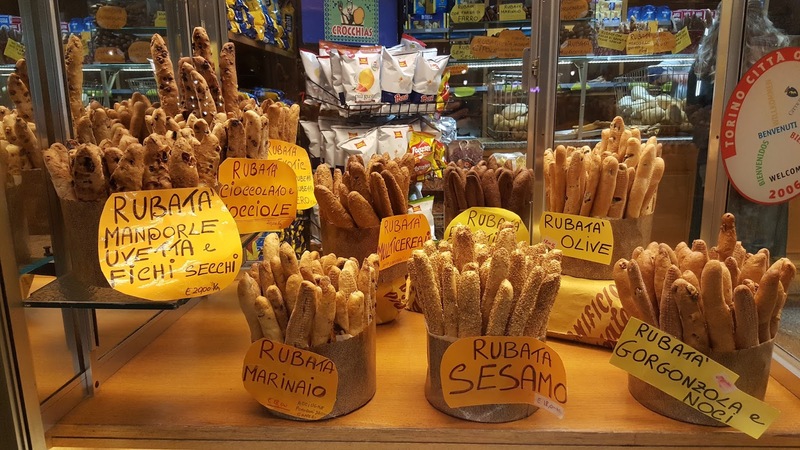 As you might already know, grissini have nothing in common with the breadsticks you can find outside of Italy. In fact, just like most of our local cookies, grissini were made with bread dough and were supposed to be simple and easy, especially on the royal stomach of young King Victor Amadeus II while growing up. It was the royal doctor's order! This was back in 1679 when a baker up in the Lanzo Valleys invented them as a guts-free bread because the Savoy prince couldn't digest them. Legend has it that another Savoy king, King Charles Felix loved grissini soooo much he would munch on them like pop-corn while enjoying a play at the Royal Theater - Teatro Regio! Because they are easy on the stomach, they can be eaten with a great variety of ingredients (yes, here we dunk them in any chocolate spread directly in the jar...) and, unlike bread, they can last many weeks without even going stale, grissini quickly gained in popularity and spread all over Italy. To make grissini you simply follow the most traditional and simple bread recipe and then, according to the shape and length you want to give to your own production, they will bake uniformly and without guts. The most traditional grissini shape is the rubatà or rolled (on the floor) in the original Piedmontese dialect. Traditionally rubatà are 40 to 80 cm - 20 to 40 in. long and show some knots, wrinkles and folds due to the hand work. The rubatà you can find in Turin and on the surrounding hills are PAT or Traditional Artisan (agroalimentare: food from the earth) Product. Then we also have grissino stirato or pulled because instead of rolling it down like rubatà, you pull the bread dough as much as your arms allow it to make it long. This is a more recent variant of grissino, it is much thinner and brittle, without wrinkles and knots. This technique allowed the grissino stirato production to be mechanized already back in 1700. 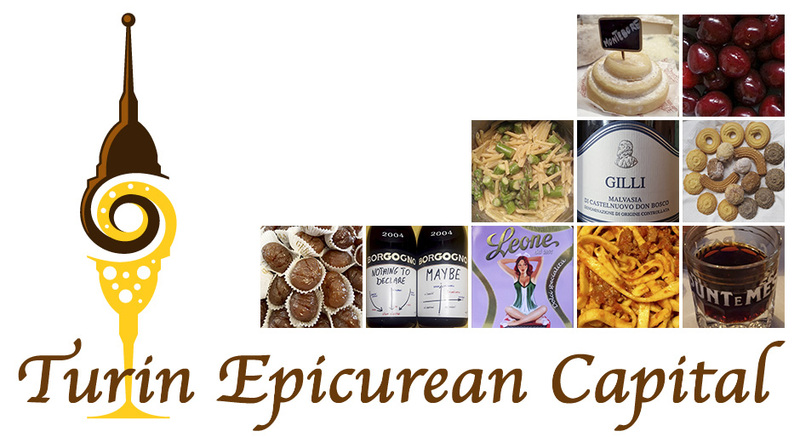 Finally, you can also find other variants made with other ingredients, herbs, cheeses, spices, nuts, meats but they won't last as long as the traditional ones. Loved the ones we got in a restaurant in Torino last September! Grissini are wonderful things! I need to come back! Ahhhh! !